Profits per partner were up a whopping 40 percent in 2016. 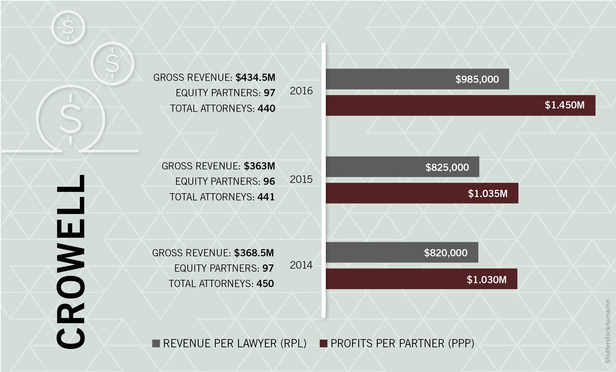 Crowell & Moring partners enjoyed an uncommonly good year in 2016. “They hated it,” chairwoman Angela Styles joked about partners’ responses to the firm’s big gains in both revenue and profits.